Easy Bids is Bidsonline’s operational and financial system for truck, plant and equipment auctions. Easy Bids is a client/server system with web based executive reporting. The server can be run on your servers or on our ‘cloud’ servers. The software is written using Microsoft programming languages and Microsoft’s SQL database. 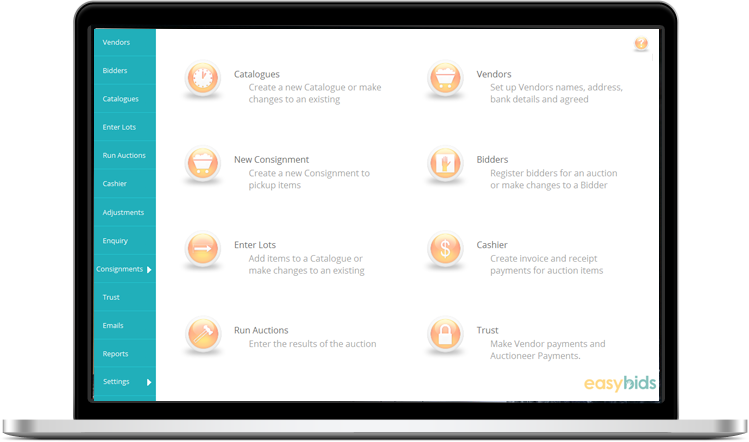 A key feature of Easy Bids is the ability to set up a consistent method of describing the items you auction. This means you can have a database of common products that makes it easy to describe and enter products for auction. It also allows you to set up easy searching for your buyers.